I love eggplants, it is one of those things that alone is nothing special, but by adding flavours to it, becomes the most delicious thing to eat. This for me is moorish, I just keep wanting more. It is great hot or cold and is a great side dish to a steak, or if you are like me you just eat it on its own. Roasting of the miso on the eggplants gives it a lovely nutty sweet flavour. I don't salt and rinse the eggplant first for this recipe, I find it unnecessary. 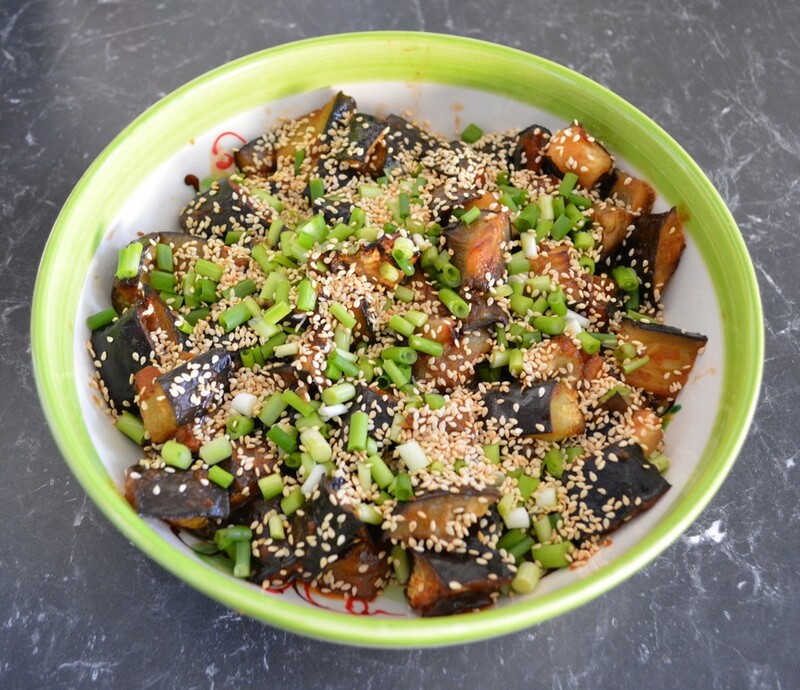 Just slice up the eggplant just before you are going to bake it, and it shouldn't be bitter, but if it is a little bitter, it works with the sweet miso anyway. To avoid burning black sesame, toast them in a pan with the white sesame seeds and watch for the white ones to change colour. Since we started Japan week in our house I started using Adam Liaw's cookbooks, I have a few. His recipes are simple and very flavoursome, I do recommend his books, I haven't tried a recipe of his, that I did not love. A simple but delicious dish, that I know I will be making for years to come. Heat the oven to 220C/200C fan forced. Toss the eggplant in the olive oil and season with a little salt. Place on a baking tray lined with baking paper and roast for 20 minutes, or until the eggplant is slightly browned. Meanwhile, mix together the miso dressing ingredients. Pour it over the roasted eggplant, tossing it on the tray to coat well. Continue to roast for a further 5-10 minutes or until the miso starts to caramelise. 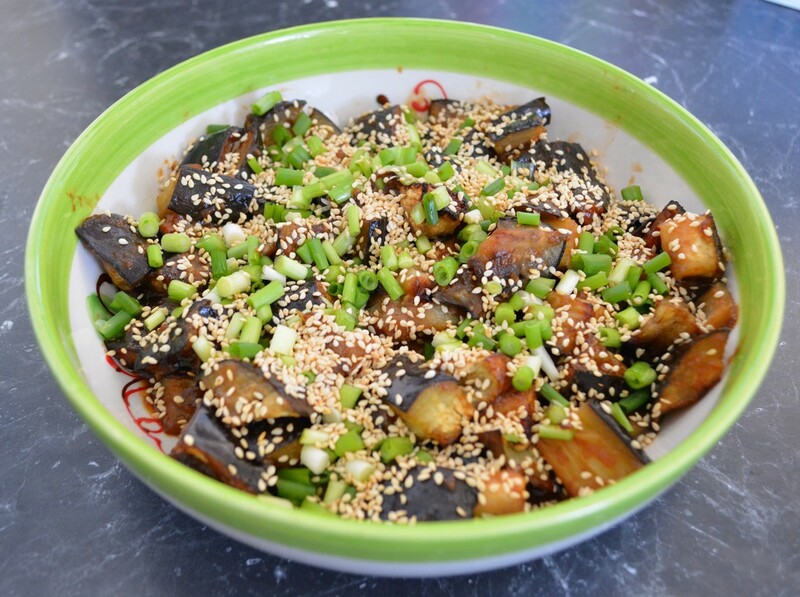 Remove the eggplant from the oven, transfer to a serving dish, scatter with green onions and toasted sesame seeds.